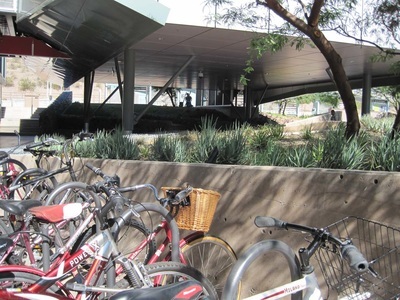 The project included the expansion of the existing Phoenix Convention Center, renovation, pedestrian bridge, light rail station, xeriscape and hardscape. Responsibilities included helping complete and submit the construction documents, team coordination, RFI’s, change orders, and construction management. The project lead was HOK. The project includes a 14,000 sq. ft. solar panel installation, native vegetation, solar water heaters, and rain-harvesting barrels connected to the irrigation system. Responsible for the design, construction documents and plant selection. Coordinated all project phases with Genseler and Green Ideas to achieve LEED Gold certification. DMJM-Harris for Arizona Department of Transportation. The project scope included a GPS based plant inventory from the Village of Oak Creek to Sedona. Responsibilities included completing the plant inventory, preparation of salvage and planting plans, and team coordination. Completed with Kirkham Michael Consulting Engineers. The project included re-design of the Maryland medians on 83rd and 91st Avenues. Responsibilities included helping with design, construction documents, coordination with team, and project submittal. A new police and fire station for the city of Scottsdale. Responsibilities included the design and completion of construction documents, coordination with the architect and submittal of project. The project lead was Perlman Architects. The original planning and construction phase of the Valley Metro Rail. Responsibilities included helping with testing of plants to be used to aid with shade at each station, testing and selection of ADA materials for the ramps at the various street and rail crossings, and team coordination. 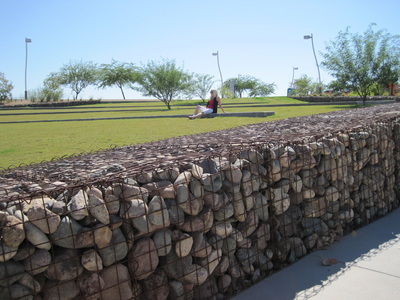 Located in Gilbert, the multi-use 16 acre park provides recreation amenities for people and dogs, and includes accessible trails, ramadas, green spaces, a lake, dog play areas, and an integrated K-9 police dog training area. The park is dedicated to Cosmo, one of Gilbert's first K-9 police dogs; the theming reflects our love of dogs and their fun-loving nature. Originally a large retention basin, this park is now a regional destination. Lead was J2 Engineering & Environmental Design for ADOT. Responsibilities included helping with irrigation design and irrigation construction plans. A new 6-lane bridge expands almost half a mile across the Gila River. It connects motorists and pedestrians between Estrella Parkway north to Peoria. It includes bike lanes and sidewalks on both sides. The 16 foot wide semi-circular alcoves with seating also function as a tourist attraction to see migrating bats that rest in the bat lodges installed underneath the bridge. Responsibilities included site inventories, completion of visual analysis of site, and help with the overall design; completion of visual boards, research, renderings, and help with graphics; coordination with civil engineer and presentation of project. The lead was Estrella Mountain Ranch (Newline Communities). 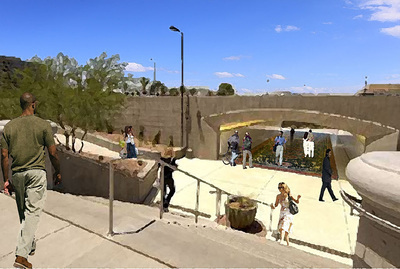 J2 Design for Arizona Department of Transportation. The project included a new highway extension, completion of erosion control plans, irrigation and planting plans, and visual studies. Responsibilities included the completion of data collection sheets, including extensive field visits; visual prioritization analysis, assistance with the final written and graphic report and Visual boards. The pro-bono project for Head Start that included the design of a children's play area, edible garden, and entry landscape design. Responsibilities included requesting donation of landscape materials and installation labor, execution of design, coordination, and final construction supervision.